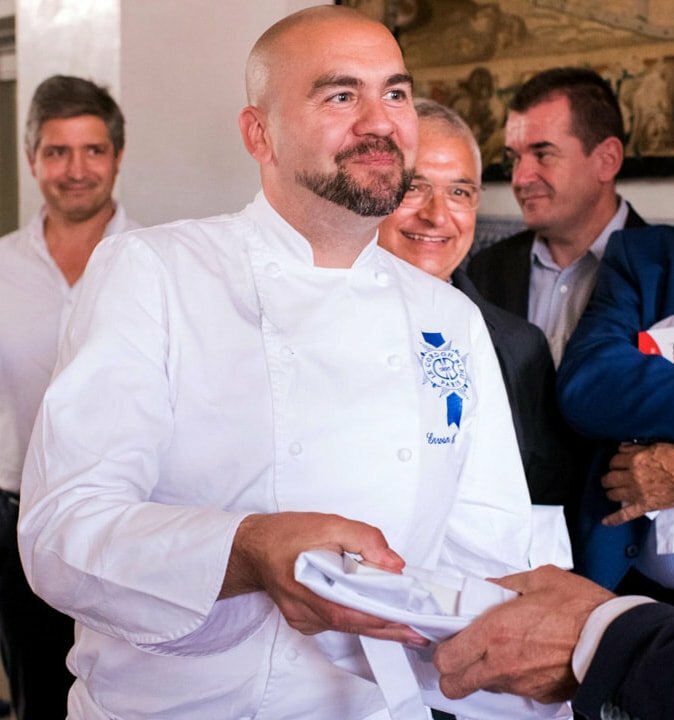 Le Cordon Bleu Madrid has recently received from the hands of the Spanish Federation of Hospitality and Catering (FEHR) the recognition that makes it a member of the "Friends of the tapa Club". Erwan Poudoulec, technical director of Le Cordon Bleu Madrid, was in charge of representing the School at the ceremony. Also participating in the event was Manuela Carmena, mayoress of Madrid. The mayoress has highlighted in her speech how the city council are promoting different initiatives to make schoolchildren learn to eat in a balanced manner. In addition, Carmena wanted to value the tapa which, in the words of the mayor, "is something very special that does not exist in other places." 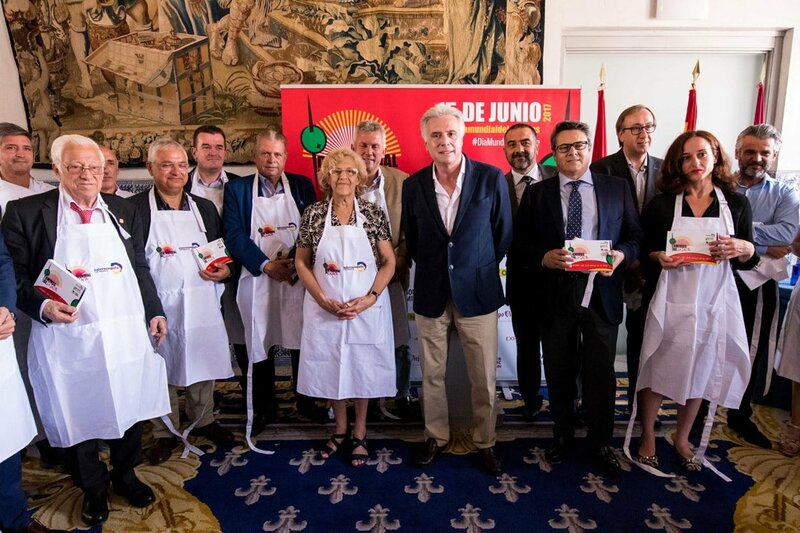 The event, which took place in the Casa de la Panadería in Plaza Mayor in Madrid, was held in the framework of the events of the "World Day of the Tapa". Organized by the Ministry of Industry, Energy and Tourism, through Turespaña, the initiative will bring Spanish gastronomy to 32 countries through 71 events that will take place with the collaboration of 733 restaurants from around the world. In Le Cordon Bleu Madrid we understand the importance that this type of gastronomic elaborations has had for the diffusion of Spanish cuisine. For this reason, the Tapas have a special role in our Spanish Cuisine programme, so that those who practice it are able to turn these small elaborations into authentic high-cuisine snacks.